Consider some examples from the small set of documents released already. During the last year and a half of his life, Osama bin Laden: oversaw al Qaeda’s “external work,” that is, its operations targeting the West; directed negotiations with the Pakistani state over a proposed ceasefire between the jihadists and parts of the government; ordered his men to evacuate northern Pakistan for safe havens in Afghanistan; instructed Shabaab to keep its role as an al Qaeda branch secret and offered advice concerning how its nascent emirate in East Africa should be run; received status reports on his fighters’ operations in at least eight different Afghan provinces; discussed al Qaeda’s war strategy in Yemen with the head of Al Qaeda in the Arabian Peninsula and other subordinates; received updates from Al Qaeda in the Islamic Maghreb, including details on a proposed truce with the government of Mauritania; authorized the relocation of veteran jihadists to Libya, where they could take advantage of the uprising against Muammar al Qaddafi’s regime; corresponded with the Taliban’s leadership; and generally made decisions that impacted al Qaeda’s operations everywhere around the globe. Again, this is just a handful of the examples culled from the publicly-available files recovered in bin Laden’s compound. The overwhelming majority of these documents remain classified and, therefore, unavailable to the American public. The story of how bin Laden’s role was missed should raise a large red flag. Al Qaeda is still not well-understood and has been consistently misjudged. Not long after bin Laden was killed, a meme spread about his successor: Ayman al Zawahiri. Many ran with the idea that Zawahiri is an ineffectual and unpopular leader who lacked bin Laden’s charisma and was, therefore, incapable of guiding al Qaeda’s global network. This, too, was wrong. There is no question that the Islamic State, which disobeyed Zawahiri’s orders and was disowned by al Qaeda’s “general command” in 2014, has cut into al Qaeda’s share of the jihadist market and undermined the group’s leadership position. But close observers will notice something interesting about al Qaeda’s response to the Islamic State’s challenge. Under Zawahiri’s stewardship, al Qaeda grew its largest paramilitary force ever. Brett McGurk, the Special Presidential Envoy for the Global Coalition to Counter ISIL, warned about the rise of Al Nusrah Front during testimony before the Senate Foreign Relations Committee on June 28. “With direct ties to Ayman al Zawahiri, Osama Bin Laden’s successor, Nusra[h] is now al [Qaeda’s] largest formal affiliate in history,” McGurk said. US officials previously contacted by The Long War Journal said Nusrah could easily have 10,000 or more fighters in its ranks. It is worth repeating that Nusrah grew in size and stature, while being openly loyal to Zawahiri, after the Islamic State became its own jihadist menace. Far from being irrelevant, Zawahiri ensured al Qaeda’s survival in the Levant and oversaw its growth. On July 28, Al Nusrah Front emir Abu Muhammad al Julani announced that his organization would henceforth be known as Jabhat Fath al Sham (JFS, or the “Conquest of the Levant Front”) and would have no “no affiliation to any external [foreign] entity.” This was widely interpreted as Al Nusrah’s “break” from al Qaeda. But Julani never actually said that and al Qaeda itself isn’t an “external entity” with respect to Syria as the group moved much of its leadership to the country long ago. Al Nusrah’s rebranding was explicitly approved by Abu Khayr al Masri, one of Zawahiri’s top deputies, in an audio message released just hours prior to Julani’s announcement. 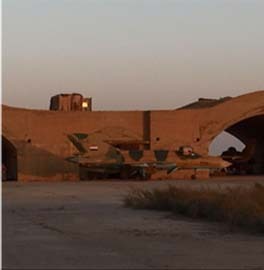 Masri was likely inside Syria at the time. Julani, who was dressed like Osama bin Laden during his appearance (as pictured above), heaped praise on bin Laden, Zawahiri and Masri. “Their blessed leadership has, and shall continue to be, an exemplar of putting the needs of the community and their higher interests before the interest of any individual group,” Julani said of Zawahiri and Masri. Most importantly, Al Nusrah’s relaunch as JFS is entirely consistent with al Qaeda’s longstanding strategy in Syria and elsewhere. Al Qaeda never wanted to formally announce its role in the rebellion against Bashar al Assad’s regime, correctly calculating that clandestine influence is preferable to an overt presence for many reasons. This helps explain why Nusrah was never officially renamed as “Al Qaeda in the Levant” in the first place. However, fifteen years after the 9/11 attacks, there is such widespread ignorance of al Qaeda’s goals and strategy that Nusrah’s name change is enough to fool many. Al Qaeda has grown in South Asia as well. In Sept. 2014, Zawahiri announced the formation of Al Qaeda in the Indian Subcontinent (AQIS), which brought together elements of several existing jihadist organizations. AQIS quickly got to work, attempting to execute an audacious plan that would have used Pakistani arms against American and Indian ships. The plot failed, but revealed that al Qaeda had infiltrated Pakistan’s military. With Zawahiri as its emir, al Qaeda raised its “largest formal affiliate in history” in Syria and operated its “largest training” camp ever in Afghanistan. These two facts alone undermine the widely-held assumption that al Qaeda is on death’s door. Elsewhere, al Qaeda’s other regional branches remain openly loyal to Zawahiri. From April 2015 to April 2016, Al Qaeda in the Arabian Peninsula (AQAP) controlled a large swath of territory along Yemen’s southern coast, including the key port city of Mukalla. An Arab-led coalition helped reclaim some of this turf earlier this year, but AQAP’s forces simply melted away, living to fight another day. AQAP continues to wage a prolific insurgency in the country, as does Shabaab across the Gulf of Aden in Somalia. Shabaab’s leaders announced their fealty to Zawahiri in February 2012 and remain faithful to him. They have taken a number of steps to stymie the growth of the Islamic State in Somalia and neighboring countries. Shabaab also exports terrorism throughout East Africa, executing a number of high-profile terrorist attacks in recent years. Al Qaeda in the Islamic Maghreb (AQIM) continues to operate in West and North Africa, often working in conjunction with front groups. Like al Qaeda’s branches elsewhere, AQIM prefers to mask the extent of its influence, working through organizations such as Ansar al Sharia and Ansar Dine to achieve its goals. Late last year, Al Murabitoon rejoined AQIM’s ranks. Al Murabitoon is led by Mohktar Belmokhtar, who has been reportedly killed on several occasions. Al Qaeda claims that Belmokhtar is still alive and has praised him for rejoining AQIM after his contentious relations with AQIM’s hierarchy in the past. While Belmokhtar’s status cannot be confirmed, several statements have been released in his name in recent months. And Al Murabitoon’s merger with AQIM has led to an increase in high-profile attacks in West Africa. In sum, AQAP, AQIM, AQIS and Shabaab are formal branches of al Qaeda and have made their allegiance to Zawahiri clear. Jabhat Fath al Sham, formerly known as Al Nusrah, is an obvious al Qaeda project in Syria. Other organizations continue to serve al Qaeda’s agenda as well. As the brief summary above shows, Al Qaeda’s geographic footprint has expanded greatly since the Sept. 11, 2001 terrorist attacks. Some US officials argue that al Qaeda has been “decimated” because of the drone campaign and counterterrorism raids. They narrowly focus on the leadership layer of al Qaeda, while ignoring the bigger picture. But even their analysis of al Qaeda’s managers is misleading. Al Qaeda has lost dozens of key men, but there is no telling how many veterans remain active to this day. Experienced operatives continue to serve in key positions, often returning to the fight after being detained or only revealing their hidden hand when it becomes necessary. Moreover, al Qaeda knew it was going to lose personnel and took steps to groom a new generation of jihadists capable of filling in. From left to right: Saif al Adel, Abu Mohammed al Masri and Abu Khayr al Masri. These photos, first published by the FBI and US intelligence officials, show the al Qaeda leaders when they were younger. Last year, several veterans were reportedly released from Iran, where they were held under murky circumstances. One of them was Abu Khayr al Masri, who paved the way for Al Nusrah’s rebranding in July. Another is Saif al Adel, who has long been wanted for his role in the 1998 US Embassy bombings in Kenya and Tanzania. At least two others freed by Iran, Abu Mohammed al Masri and Khalid al Aruri, returned to al Qaeda as well. Masri, Al Adel, and Aruri may all be based inside Syria, or move back and forth to the country from Turkey, where other senior members are based. 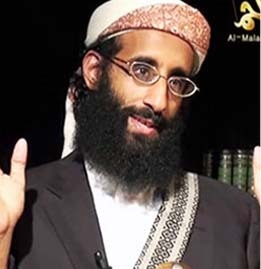 Mohammed Islambouli is an important leader within al Qaeda. After leaving Iran several years ago, Islambouli returned to Egypt and eventually made his way to Turkey, where he lives today. Sitting to Julani’s right during his much ballyhooed announcement was one of Islambouli’s longtime compatriots, Ahmed Salama Mabrouk. The diminutive Mabrouk is another Zawahiri subordinate. He was freed from an Egyptian prison in the wake of the 2011 uprisings. 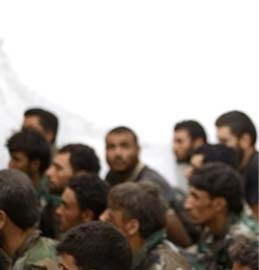 Al Qaeda moved some of its senior leadership to Syria and several others from this cadre are easy to identify. But al Qaeda has also relied on personnel in Yemen to guide its global network. One of Zawahiri’s lieutenants, Hossam Abdul Raouf, confirmed this in an audio message last October. Raouf explained that the “weight” of al Qaeda has been shifted to Syria and Yemen, because that is where its efforts are most needed. The American drone campaign took out several key AQAP leaders in 2015, but they were quickly replaced. Qasim al Raymi, who was trained by al Qaeda in Afghanistan in the 1990s, succeeded Nasir al Wuhayshi as AQAP’s emir last summer. Raymi quickly renewed his allegiance to Zawahiri, whom Raymi described as the “the eminent sheikh” and “the beloved father.” Another al Qaeda lifer, Ibrahim Abu Salih, emerged from the shadows last year. Salih was not a public figure beforehand, but he has been working towards al Qaeda’s goals in Yemen since the early 1990s. Ibrahim al Qosi (an ex-Guantanamo detainee) and Khalid al Batarfi have stepped forward to lead AQAP and are probably also part of al Qaeda’s management team. This old school talent has helped buttress al Qaeda’s leadership cadre. They’ve been joined by men who signed up for al Qaeda’s cause after the 9/11 attacks as well. In July, the US Treasury Department designated three jihadists who are based in Iran. One of them, known as Abu Hamza al Khalidi, was listed in bin Laden’s files as part of a “new generation” of al Qaeda leaders. Today, he plays a crucial role as the head of al Qaeda’s military commission, meaning he is the equivalent of al Qaeda’s defense minister. Treasury has repeatedly identified other al Qaeda members based in Iran, Afghanistan and elsewhere. Some members of the “new generation” are more famous than others. Such is the case with Osama’s son, Hamzah bin Laden, who is now regularly featured in propaganda. This brief survey of al Qaeda is not intended to be exhaustive, yet it is still sufficient to demonstrate that the organization’s bench is far from empty. 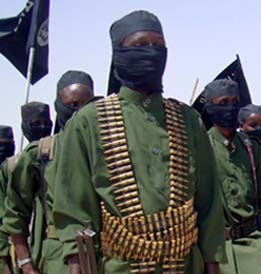 Moreover, many of the men who lead al Qaeda today are probably unknown to the public. Testifying before the Senate Armed Services Committee in February, Director of National Intelligence James Clapper warned that al Qaeda “nodes in Syria, Pakistan, Afghanistan, and Turkey” are “dedicating resources to planning attacks.” His statement underscored how the threats have become more geographically dispersed over time. With great success, the US worked for years to limit al Qaeda’s ability to strike the West from northern Pakistan. But today, al Qaeda’s “external operations” work is carried out across several countries. During the past fifteen years, Al Qaeda has failed to execute another mass casualty attack in the US on the scale of the 9/11 hijackings. Its most recent attack in Europe came in January 2015, when a pair of brothers backed by AQAP conducted a military-style assault on the Charlie Hebdo office in Paris. AQAP made it clear that the Charlie Hebdo massacre was carried out according to Zawahiri’s orders. But there is another aspect to evaluating the al Qaeda threat that is seldom appreciated. It is widely assumed that al Qaeda is only interested in attacking the West. This is flat false. Most of the organization’s resources are devoted to waging insurgencies in Muslim majority countries. The story in Syria has been telling. Although al Qaeda may have more resources in Syria than anywhere else, Zawahiri did not order his men to carry out a strike in the West. Al Qaeda’s so-called “Khorasan Group” laid the groundwork for such operations, but Zawahiri did not give this cadre the green light to actually carry them out. Zawahiri’s stand down order is well known. In an interview that aired in May 2015, for instance, Julani explained that the “directives that come to us from Dr. Ayman [al Zawahiri], may Allah protect him, are that Al Nusrah Front’s mission in Syria is to topple [Bashar al Assad’s] regime” and defeat its allies. “We have received guidance to not use Syria as a base for attacks against the West or Europe so that the real battle is not confused,” Julani said. However, he conceded that “maybe” the mother al Qaeda organization is plotting against the West, just “not from Syria.” Julani emphasized that this “directive” came from Zawahiri himself. 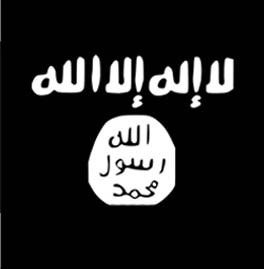 To date, al Qaeda has not lashed out at the West from inside Syria, even though it is certainly capable of doing so. Al Qaeda’s calculation has been that such an attack would be too costly for its strategic interests. 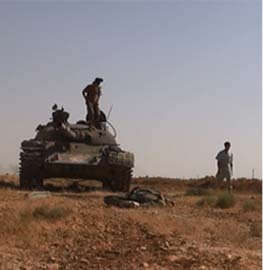 It might get in the way of al Qaeda’s top priority in Syria, which is toppling the Assad regime. This calculation could easily change overnight and al Qaeda could use Syria as a launching pad against the West soon. But they haven’t thus far. It helps explain why there hasn’t been another 9/11-style plot by al Qaeda against the US in recent years. It also partially explains why al Qaeda hasn’t launched another large-scale operation in Europe for some time. Al Qaeda has more resources at its disposal today than ever, so the group doesn’t lack the capability. If Zawahiri and his advisors decided to make anti-Western attack planning more of a priority, then the probability of another 9/11-style event would go up. Even in that scenario, al Qaeda would have to successfully evade the West’s defenses. But the point is that al Qaeda hasn’t been attempting to hit the West nearly as much as some in the West assume. In the meantime, it is easy to see how the al Qaeda threat has become more diverse, just as Clapper testified. AQAP has launched several thwarted plots aimed at the US, including the failed Christmas Day 2009 bombing. In 2009, al Qaeda also plotted to strike trains in the New York City area. In 2010, a Mumbai-style assault in Europe was unraveled by security services. It is not hard to imagine al Qaeda trying something along those lines once again. Other organizations tied to al Qaeda, such as the Pakistani Taliban, have plotted against the US as well. Fifteen years after the 9/11 attacks, al Qaeda lives. Fortunately, Zawahiri’s men have not replicated the hijackings that killed nearly 3,000 Americans. But the al Qaeda threat looms. It would be a mistake to assume that al Qaeda won’t try a large-scale operation again. *The spellings of al Qaeda and bin Laden are changed in this quote from Morell to make them consistent with the rest of the text. No shrinking violet, Zawahiri has taken two big swings: Karachi Dockyard and Pathankot. Both could have resulted in major fireworks. He could have gone bio decades ago, ditto for chem. Nuke is expensive and harder. Ugly old thing has a plan, and it’s based on the Koran… I wonder what it is? Well considered and written. But. In the new paradigm, the point is not “to win.” The point is to disrupt; manage the cancer. And that we are doing as well as possible. If Al Queda is growing as a threat to Muslim nations, are the nations targeted as too secular, or on the wrong side of the Sunni/Shite divide, or because of their alliances with the West? And is the strategy to destabilize the countries, allowing Al Queda surrogates to control the Government’s? Great article, I really enjoyed reading it. I was thinking about this the other day, namely just how little we actually know or understand about AQ. I’m not entirely sure where this comes from, I mean look, you’ve obviously got a really good handle on the situation at hand, as well as the obvious and glaring fact that AQ is in no way decimated. These guys are posting videos, talking about “directives,” from Zawahiri, putting a ton of information out there on a regular basis, and for so many reasons, the US gov and frankly the US and western intelligence communities somehow seem to be in the dark, confused somehow. They certainly don’t appear to have a very thorough, nuanced understanding of AQ, and there’s definitely nothing resembling “grand strategy,”that I’ve seen in the last 15 years. I personally think that one of the biggest reasons that this may be the case, is because look, look at these guys and the image they put out there, a jihadist in combat fatigues could not be more of a polar opposite in every way to a western political power broker in a suit, and in the minds of these political power brokers, everybody wants something, and they just have to find that thing and make a deal and that’s the way things are done, and I feel like they’re just completely glossing over the fanatic aspect, the zeal and religious fervor of the involved parties. These guys don’t want to make deals. They don’t want to negotiate with us. They don’t want peace. In 15 years of relentless, soul wrenching, bone grinding war, has the Taliban or AQ’s position, or demands changed? In 15 years of war, has AQ or the Taliban been defeated utterly, their capability and will to fight destroyed? In 15 years of war, has AQ diminished or grown in size, capability, resolve and threat? We’ll never be able to truly defeat our enemies in this long war until we understand them on a deeper level, until we know them so well that we are able to anticipate not only their objectives, but the routes they’ll take to get to those objectives. Pakistan never came clean on who was involved in the Karachi Dockyard attack, particularly the second cell which tried a mutiny on board the frigate. That was the single greatest attempt since the Planes Operation. Had it succeeded, a Pakistani warship would have let fly missiles at an American supply ship and possibly even an aircraft carrier. Two Pakistani ships were attacked that night, one underway and on at a dock. Zawahiri was directly involved, old goat boy Gadahn (enjoy those frisky virgins) was in on the plan, and a bunch of serving naval officers. Old uglyface is down, but not out. Richard Clarke says he is probably moving a lot. I say ask the ISI, they’ll know.